Before they left for Monsilys, Valentin called Philomena into his study. He gestured for her to sit, and said without preamble, "Philomena, you are involved in dangerous games here. There is a real prospect that all of your confederates may wind up with their heads on a block. Deusetats is their home and their birthright, and I do not begrudge them their right to fight for it, nor Jovan its right to profit from Deusetatsi strife. But I want you to think seriously about whether you should be involved. Particularly before you do something that cannot be undone." Philomena nodded, winding her fingers in her lap. "I know, Lord Valentin. I--thought about what you said, about staying in Jovan and becoming an archivist. Until two days ago there was nothing I wanted more than to go back to Whitefields and live a quiet life away from all--this. But now, things are..." She searched for the word, "different." Leaning forward, Valentin repeated, "Different? How?" What would Lord Valentin think if she told him what had happened? Philomena was silent for a moment while she weighed up her response. "We... the four of us... went into the forest. Prince Rainhart found a place--a glen. It was..." Again, she searched for the word. "Magical, I suppose. Some otherworldly voice spoke to us. It showed us another forest, in Deusetats, that Valdon is destroying. We--all of us believe--that it is our duty to protect that forest." She hesitated. "Or something terrible will happen." "Ah." Valentin laid his hands flat on the desk. "You know, there is a legend in Jovan that I believe is in part shared by almost every culture in Aea, about the places where the old gods bound the world together. Lines wrapping around the globe and drawing tight, that thin the barriers between Aea and the place beyond death. One such binding line runs along the lee-side of the Spinal Mountains; we are on the edge of it here. I can attest myself to the power that those places hold." At Philomena&apos;s startled expression, he smiled. "Did you think I wouldn&apos;t believe you?" "I am beginning to suspect you are omniscient, Lord Valentin," said Philomena. "No, not that," said Valentin dryly. "But I understand that information brings with it power. I am never closed to new information: most people find that I am a very good listener." The fey expression that flitted across his face was at odds with his light tone. He reached for his cane, stood carefully, and came around the desk. "You are determined to stay the course and return to Deusetats?" he said. "I will not stop you; I do not claim for myself that right. But I will protect you inasmuch as I am able." He put his knuckle under her chin, then drew her close. She leaned her cheek against the brocade of his tunic, and felt the vibrations as he said, "Have you told them that you are not really my daughter?" Feeling herself go cold, Philomena stepped back. "No," she said, "of course not." How could Lord Valentin think she would betray him and the Empress like that? They had needed her, and she had agreed to the lie. She would take it to her grave. His next words shocked her. "You should, I think. Before we reach Monsilys. 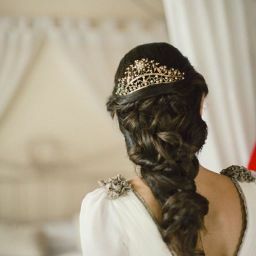 Before the Crown Prince makes his offer to the Empress." "You think that his grace may change his mind if he knows I am an Alysine brat of... of low parentage." 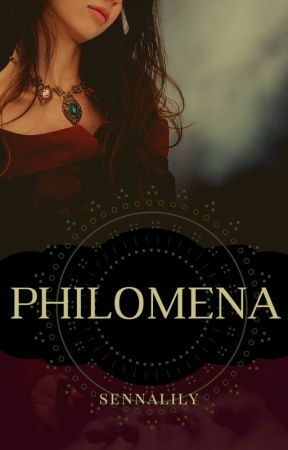 "You are building an alliance, Philomena. If you hold to the lie, you must be confident you can manage the consequences. Otherwise, tell Tancred the truth." "But..." Philomena tried to imagine how that conversation would go. She drew a blank. "Or if you wish, I could tell his grace."